Baltimore Ravens’ QB Joe Flacco is dealing with back soreness in advance of the Ravens Training Camp, which could limit him early. Coming into the 2017 NFL season, the Baltimore Ravens need better luck with the injury gods. So far, they’ve lost TE Dennis Pitta and RB Kenneth Dixon for the season — both slated to be starters. They had issues all of last year that plagued their offensive group and the theme continues before training camp this year. According to Jeff Zrebiee at the Baltimore Sun, QB Joe Flacco is dealing with back soreness in advance of camp. Zrebiee adds that there aren’t serious concerns in the sources he talked to in Baltimore, but he could definitely be missing some time. Flacco hasn’t had back concerns in the past, but this could be worrisome for Ravens’ fans if it continues. According to the report, it’s definitely possible that Flacco misses some practices or some repetitions. There are high expectations for the Ravens’ QB, who hasn’t really lived up the large contract since the Super Bowl run in 2012. John Harbaugh and Baltimore are hoping that the addition of WR Jeremy Maclin in the offseason can help out Flacco, but their chemistry building will have to wait until Flacco’s injury improves. In the meantime, the Ravens will get a chance to take a look at their backup quarterbacks, Ryan Mallet and Dustin Vaughan. Baltimore doesn’t have anyone else in the fold and doesn’t look to be adding any other quarterback. It’s going to be important to build continuity from the get-go for this group in Baltimore, with the new weapons and players that they’ve added. 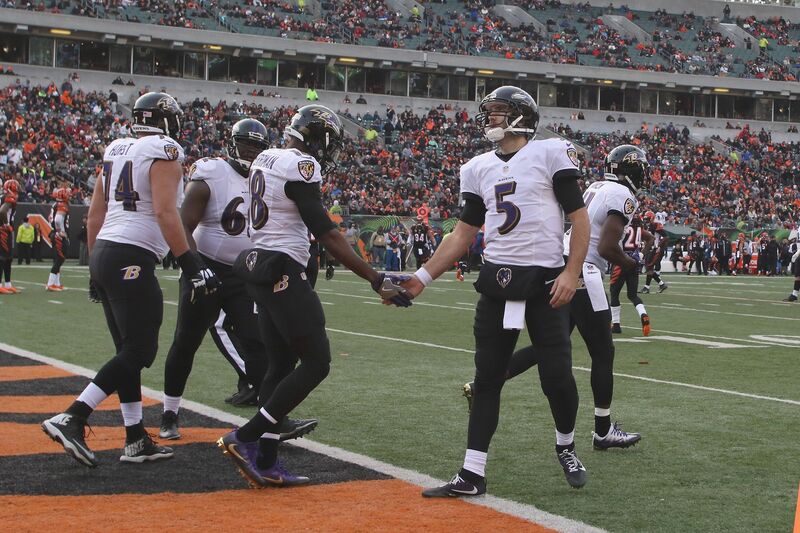 The Ravens missed the playoffs last year and are looking to get back to Super Bowl. In a division that prides itself on toughness and hard-hitting, Flacco will have to get healthy soon.